In my post ‘Shirts and Blouses’ I asserted that the variety of clothes styles available to women in a culture is representative of the variety of lifestyles available to her. My conclusion was that until the variety of dress-styles available to men increased, they would not have an equally wide choice of lifestyles. In that post I used the clothing choices available for the upper body to illustrate this assertion and agreed to write a follow-up on clothing for the lower body. This week I read news articles about Swedish train drivers wearing skirts to work prompting me to use clothing the lower half of the body to illustrate recent fashion history and revisit my previous conclusion. In Europe and North America before 1900, labour was divided between the genders relatively uniformly; men carrying out physically demanding tasks and women nurturing, healing and teaching activities. The clothing styles attributed to each gender reflected these different activities as well as providing protection from cold and sharp objects. Men needed to be able to move in all directions without being obstructed by their apparel. Separating the item worn from the waist downwards into two separate tubes of fabric covering each leg individually enabled men to undertake tasks requiring them to straddle. Be that a horse or a fence, the protection and freedom granted by trousers enabled men to build barns, ride animals and operate machinery with relative safety. Women on the other hand were expected to wear skirts comprised of a single tube suspended from the waist down to the ground. Depending on fashions and fabric availability the fullness of the skirts varied over time. The fullness of a skirt will have dictated the extent to which a woman was able to move and able to carry out physical tasks. Skirt fashion was often closely related to social status. The skirts of maids tended to be less full, enabling them to move around kitchens and sculleries whereas those of noble women were often quite restrictive. Much of the restriction took the form of the weight of a garment. 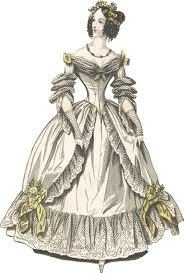 The amount of fabric making up multiple petticoats and the over-skirt as well as metal frames in the shapes of hoops or bustles could be very heavy even if the size of a step possible in a hooped skirt was adequate to facilitate running. Coupled with the effects of corsets on the respiratory system, well dressed women would have struggled to undertake any significant physical tasks. There had always been some girls and women who ‘dressed as’ boys or men to enable them to fulfil either dreams or domestic necessities. However, they were frowned upon and the exception rather than the norm. The two world wars in the early 20th century had a profound influence on women’s fashions and the acceptance of women wearing what were traditionally men’s clothes. When a significant proportion of men were called up to serve in the armies of the countries, many women were required to step into male roles at home. 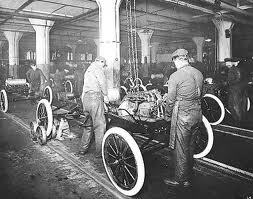 Women took charge of farms and drove tractors as well as going to work in munitions factories to stock the armouries. More and more women took to wearing trousers to be able to perform these jobs effectively. After the end of the Second World War and the lifting of fabric rationing, Christian Dior’s famous ‘New Look’ in 1947 made skirts and dresses accentuating the feminine shape fashionable again. Many women revelled in being able to present the elegance of a full skirt on a dress after the narrow pencil skirts and trousers that rationing had required in the earlier 1940s. However, women never completely stopped wearing trousers. As the 20th century progressed, more and more women wore trousers in more and more situations. Halle Berry, Tilda Swinton, Angelina Jolie and Cameron Diaz have all worn trousers on red carpets, the epitome of high fashion elegance. On the contrary, men have yet to widely adopt the wearing of skirts. And by that, I mean individuals who present their gender as male wearing skirts or dresses for everyday activities. Male to female transgender people present themselves as female and dress accordingly, they are not men wearing skirts. Some Drag Queens are male to female transgender, although not all are. Those who present themselves as male when not on stage rarely wear women’s clothes off stage. There are some individuals, the most high profile of whom I can think of being Grayson Perry, who will decide whether to wear “men’s” or “women’s” clothes every morning when they wake up. However this is not the norm. Scots and Irish men loudly protest that despite mimicking a single tube of fabric hanging from the waist, a kilt is not a skirt. And even kilts are only worn on special occasions. My previous contention was that by omitting skirts from their wardrobes, men are also limiting their acceptance into nurturing and caring professions or roles. Despite men tending to continue wearing trousers in Scandinavia, these societies in Western Europe have had a reputation for being less gender divisive for quite some time. When I visited Sweden in 2007 I was told that there is a social expectation that a father takes his paternity leave, which can be as much as a year away from work, to care for his children. Not an approach I have encountered in the UK or the US! I was therefore very interested to read about a group of men north of Stockholm who have taken to wearing their company uniform skirts on hot days because the uniform does not provide for shorts. So far, none of them have not encountered hostility from their customers for wearing skirts. This news made me question whether my original conclusion that acceptance of the opposite gender’s fashion leads to acceptance of their roles may be reversing cause and effect. Perhaps a wider acceptance of men in the more traditionally female roles is leading to an acceptance of their adoption of women’s clothing styles. A wider variety of clothing styles available to each gender is a signal of a less gender divisive society rather than a driver to removing a division. I know re the leg thing. Why do men have such great legs? Good thinking Tash – I like your arguments. Having never worn a skirt (or a kilt), I’m not best placed to comment on them – however unless they are both short and full (like a kilt) I presume that they do restrict movement. (so can tight jeans, but thats another matter!). However, when short and full, they offer less protection to the elements (I note the Swedish train drivers only use them on hot days! ), and probably less protection to other things, so I can’t ever see them catching on. However, if you look at Eastern cultures, both Mid- and Far-, your single tube is far more widely accepted for men. In my initial contemplation on women’s fashions and lifestyles I was also thinking about women in different cultures. In Western cultures women have all these choices, but in some Eastern ones they don’t, either in terms of clothes or lifestyles. Perhaps a topic for an anthropology assignment once I start that class and I can investigate some of the traditional skirt type clothes for men in southern India. Thought provoking, but I think the real meaning is in how we act and not so much the clothing anymore. What I see as the most important gender based trend is more women are getting college degrees than men. This started with the black community but has moved into the white community. Men see jobs requiring physical strength as good paying alternatives to an expensive college education. Women see the opposite, with hashing in a cafeteria or cleaning other peoples homes a real possibility.